Turns out vitamin D is pretty important for your immune system. I knew this in a sort of back-of-the-mind way, but I didn’t realise quite how important until a recent doctor visit and blood test. I seem to be deficient by nearly every standard out there. I’ve battled three separate health issues since moving to the UK from California in 2010, all of them nonexistent before the move. I’m now taking quite a lot of vitamin D3 as advised and am thrilled to see real improvement for the first time. Fingers-crossed that the improvement continues. If vitamin D deficiency is a potential contributor to a wide range of health issues, as a lot of studies seem to show, why isn’t routine screening a thing? Couldn’t it reduce strain on the healthcare system as a whole? Basically, I’m pretty salty about not finding out sooner. I’ve had so many tests done over the past nine years to try and figure this out, but vitamin D levels were never one of the components. I suspected vitamin D might be a problem early on (seems like a no-brainer, there’s a big difference in sunlight between CA and LDN). But I asked a doctor about it in 2012 and he dismissed my concern. I didn’t press it until recently when everything took a nosedive and I finally saw a doctor that gets it. So much stress and discomfort potentially caused by something so simple. Time will tell, should take about 7 weeks to get levels near normal. Onward and upward! 10 years ago today, I spent a few days at a very hospitable couple’s house in Appleby-in-Westmoreland, Cumbria. I was about two weeks in to a six-month stint studying illustration at Glasgow School of Art. 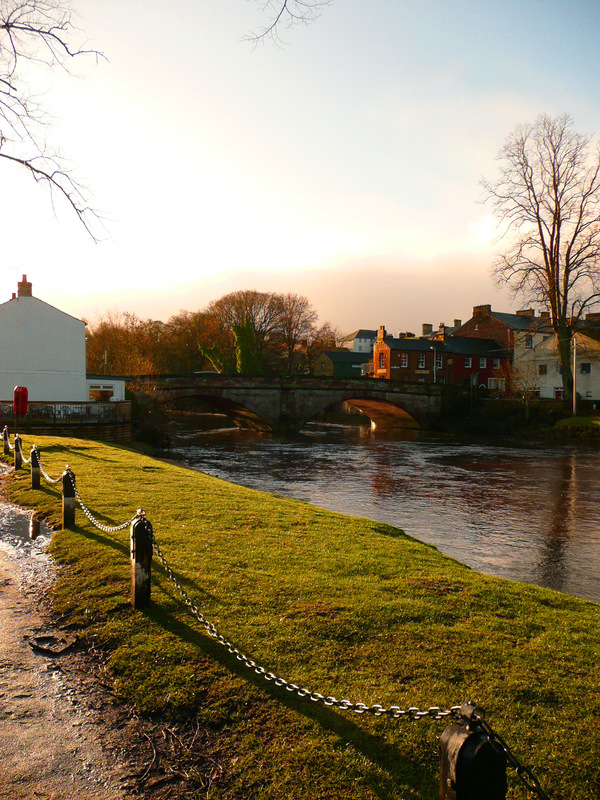 This is the River Eden at sunrise when we walked in to town to pick up the paper. They had a beautiful stone house on Battlebarrow and kept chickens in the backyard. I’d never seen a house quite like it, you just don’t get places that old in most of the US. They put a hot water bottle in my bed at night and introduced me to QI, both firsts for me. I was only there for a couple nights, and they made me feel very welcome in the UK during a time when I felt pretty untethered. Disappointed and disheartened this morning. A few articles I have found interesting/useful while trying to find some sort of silver lining. Still looking for it.